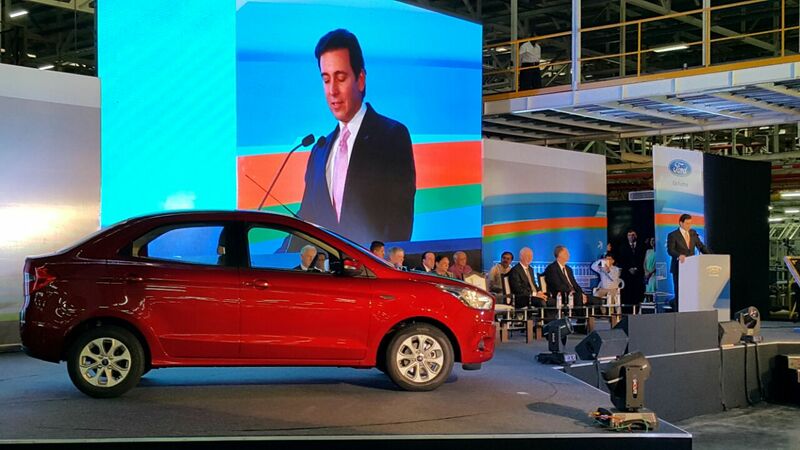 Ford President & CEO Mark Fields has just unveiled the Ford Figo Aspire during the company's second plant inauguration in the country in Sanand, Gujarat. 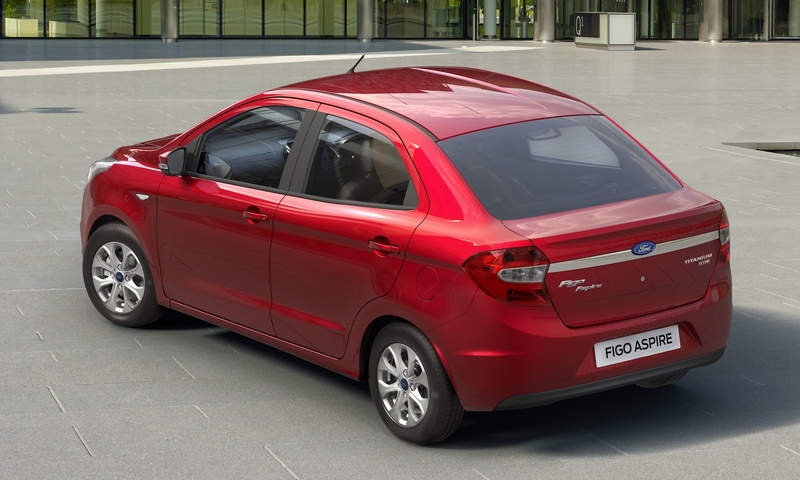 The Figo Aspire, a sub-4m sedan (eligible for lower excise tax), will be the first product to be manufactured at this facility and will be launched later this year in India with two engines. It is "designed in response to the needs of Indian consumers". 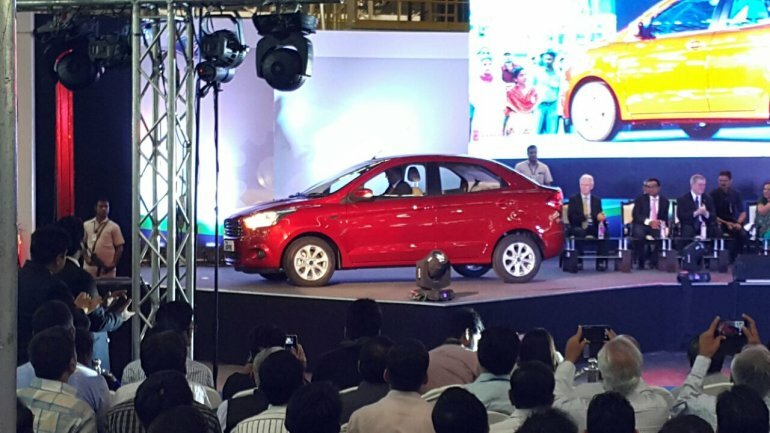 The Aspire is described as being a car that "sets new standard for compact cars in India" with "class-leading safety" and "advanced technologies". The Aspire will come with a device dock on the center console which can be mounted with a mobile phone or GPS system, and higher variants get Ford's SYNC with Applink which is its in-car connectivity. 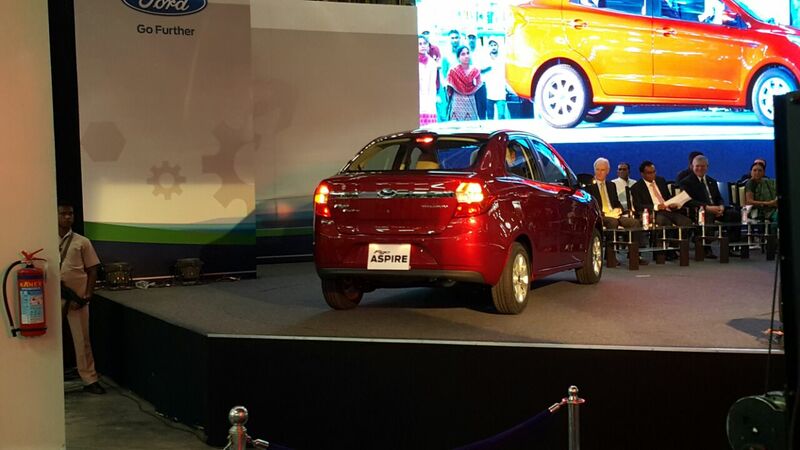 The Aspire will be the first compact car to offer side and curtain airbags. The Maruti Dzire/Honda Amaze rival would come with a new 1.2-liter Ti-VCT petrol and 1.5-liter Duratorq diesel engines, but further details were not provided. 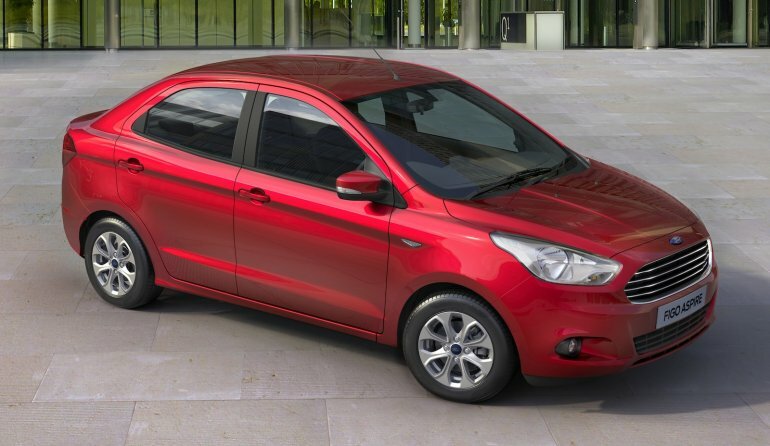 An automatic transmission is also likely to be offered (unconfirmed), paired with the 1.5-liter petrol engine used on the EcoSport and the erstwhile Fiesta. We remind readers that the longer version of the Aspire and the hatchback, dubbed New Ford Ka, were introduced in Brazil last year. The Aspire and the next gen Figo will be Ford India's two main launches for year, while the third is the just-revealed 2015 Ford Endeavour. You can find more details in the press release below the gallery.